The UCU has lain down its placards and ended the strike to avoid cuts to pensions. Our one remaining hope is for members to make their outrage known in the USS consultation exercise, which ends 22 May 2015. I hope everyone with a USS pension will respond. Suggested responses from UCU Left and UCU are linked; please comment below, especially to list other suggested responses. Universities UK argue that the reductions are necessary to avoid a deficit, but their claim has been widely criticised. A group of prominent statisticians point out Universities UK inflated the deficit by assuming a buoyant economy when predicting future salaries but assuming a recession when predicting investment returns. 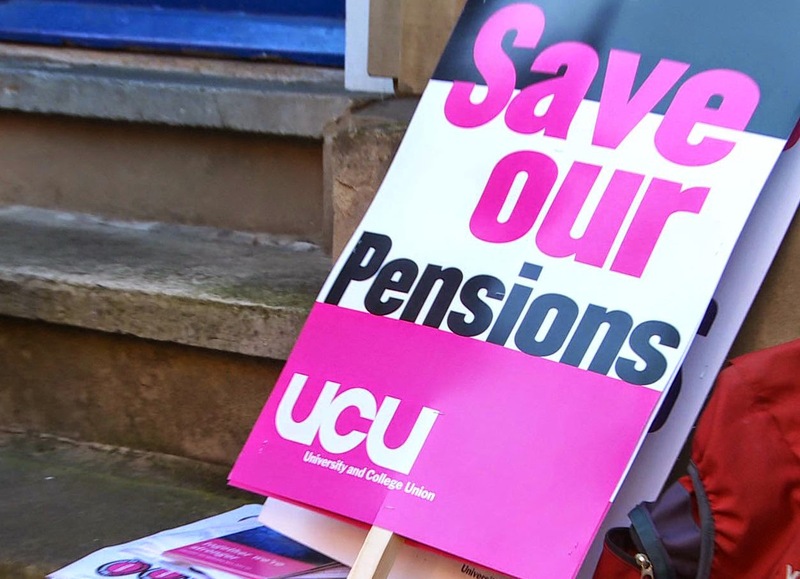 In 2011, Universities UK imposed vastly reduced pensions on new hires. Old hires who pay into the pension fund for forty years receive a pension of one-half their final salary; new hires who do the same receive a pension of one-half their average salary. Basing pensions on average rather than final salary may be sensible, but to do so with no little or no adjustment in multiplier suggests employers used this as an excuse to slip in a large cut; new hires receive about 2/3 the benefits received by old hires. All staff also suffered other cuts to pensions: additional caps and less good adjustment for inflation. At the time, it was predicted that within a few years old hires would be moved to the inferior scheme for new hires, and that is what has now come to pass. Like many in USS, employees and employers alike, I am concerned that the changes will make UK academia a less attractive option for potential scholars.